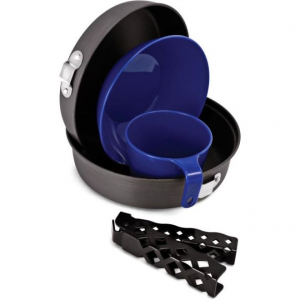 Visit GSI Outdoors's Hard Anodized Extreme Dutch Oven page. 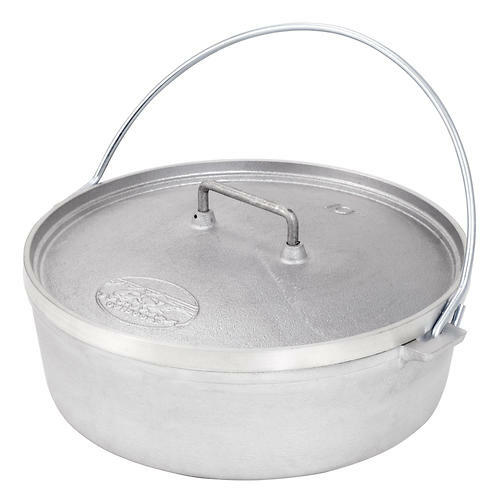 GSI Camp & Hike Hard Anodized Dutch Oven-10 in 50410. 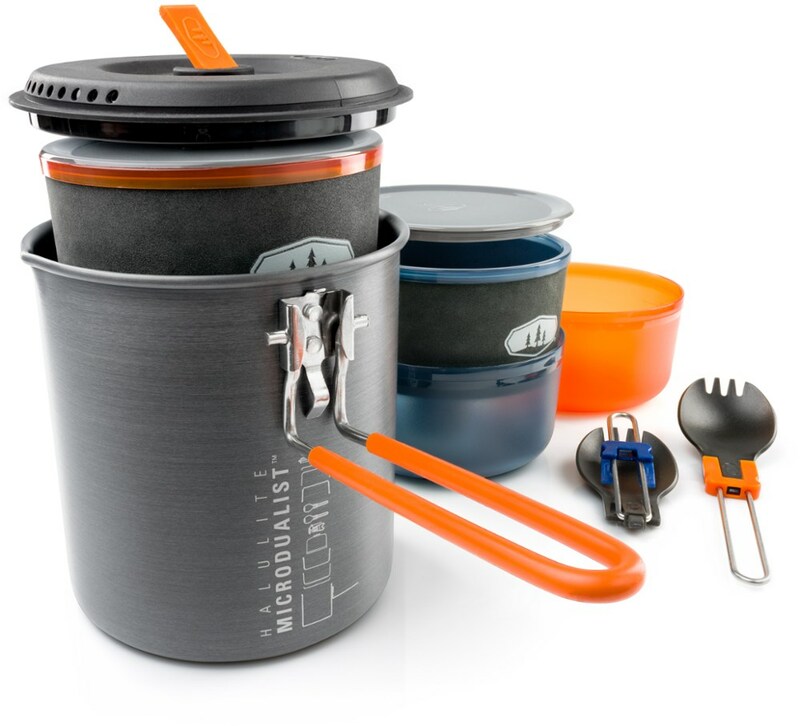 You've never cooked with anything like it. 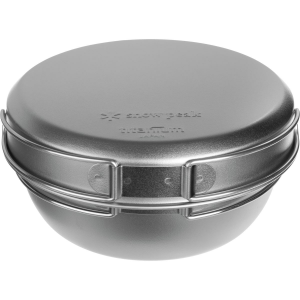 A hard anodized cast aluminum with a durable cooking surface that offers "non-stick" like performance for authentic Dutch Oven cooking. 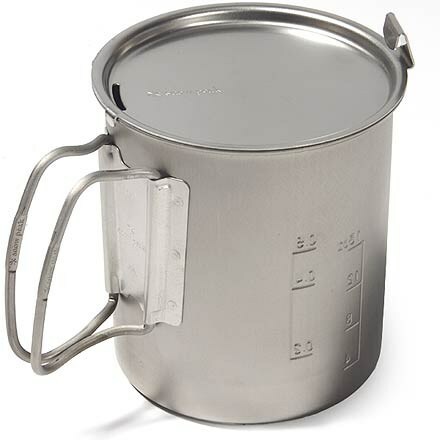 Weight: 10"- 4 lbs., 12"- 7 lbs. 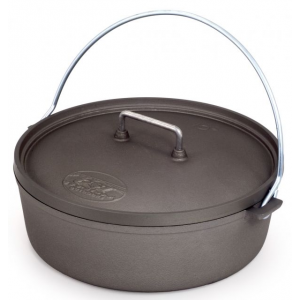 Get in touch with your inner mountain man/woman while cooking with the GSI Outdoors Hard Anodized Dutch Oven. 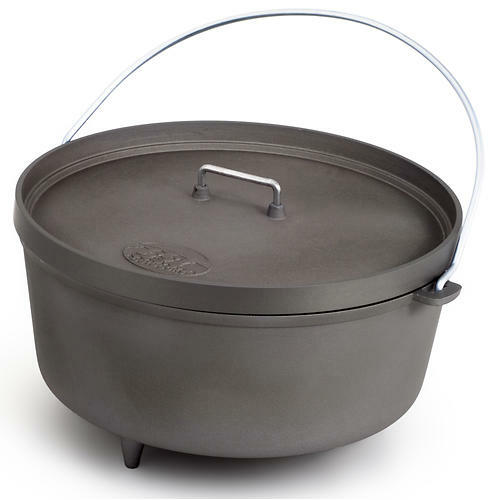 This dutch oven is ideal for stewing, steaming, frying, or baking on car camping trips and is one-third the weight of traditional cast iron ovens.